Chennai, 07 Aug 2018: DMK chief M. Karunanidhi has passed away at 6:10 pm, said a medical bulletin released by Kauvery Hospital in Chennai at 6:45 p.m. on Tuesday. 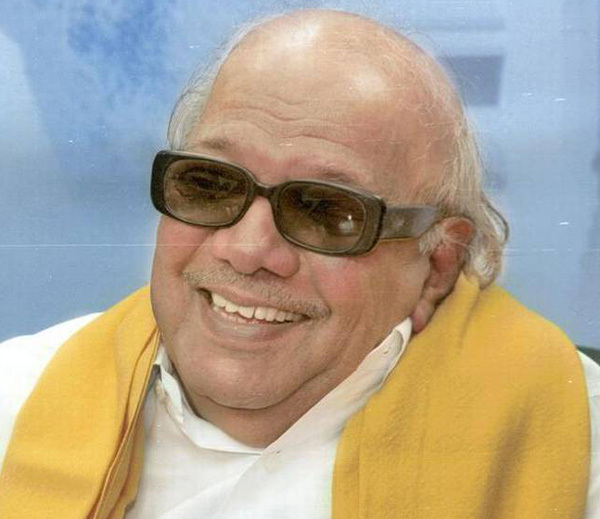 Mr. Karunanidhi was admitted to the hospital following a drop in his blood pressure in the early hours of July 28. Since then the five-time Chief Minister’s medical status has gone through ups and downs. After a setback on July 29, he continues to be in hospitali due to age-related ailments, and is under "active medical support".